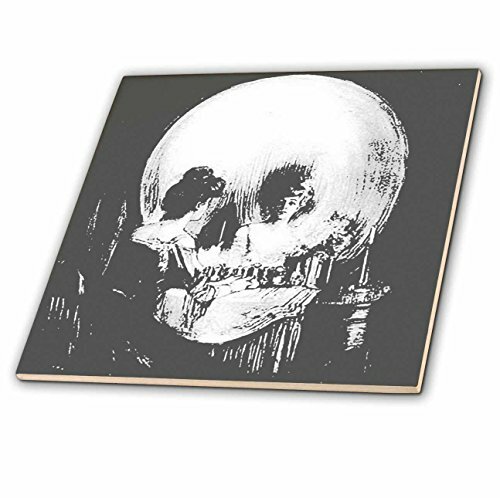 3Drose all is vanity - Ghost, Halloween, optical illusion, paranormal, seasonal, silhouette, skeleton - ceramic tile, 12-Inch (ct_46711_4). this commercial quality construction grade tile has a high gloss finish. Image applied to the top surface . This product is manufactured in United States.